One of the chief reasons for serfs voting for Brexit has been their desire for a return to ‘the good old days’. I don’t know when those good old days were, but I am sure they existed. I asked my dad who is 87, and he can’t remember when they were either. They must have been a long time ago. Recently, I spoke to a chap I know (who is a Brexiteer) and he was reminiscing about cricket in the 1960’s. He recalled that back then, the cricket season was much better because you could guarantee proper summer weather. Oddly enough, Wisden (the cricket encyclopedia) lists that same decade as one of persistent wash outs, miserable temperatures in the low teens, and a host of abandoned matches. All summers used to be hot, if that is what your mind wants to believe. So what is this Vassal State that Jacob Rees Mogg said Theresa May’s Brexit deal will turn us into? As Jacob will know, Vassal comes from the Latin word vassallus (a servant). In European feudal times a vassal was not a low born serf, but someone who held land on condition of allegiance to the king. It later became a term used by anyone who felt they were in a subordinate position of power to another. Some people jokingly claim they are a vassal to their husband or partner. Some people, not so jokingly, use it in divorce proceedings. On the international stage, a vassal state is obliged to pay money to a superior state and expected to supply military assistance on demand. Unless I have missed something, I haven’t heard or seen anything to suggest that, under May’s deal, the EU can appropriate British aircraft carriers. The truth is, Rees-Mogg used the word ‘vassal’ to create fury amongst Brexiteers so he could destabilise a weak leader, and finish her off. This failed and he is now supporting a deal that will, in his words, make us a vassal state and a slave to Europe. I can hear you all now. “But why?”, you are demanding. He is supporting the deal because the PM has said she will leave office. This in turn, allows him and his pal a run at power. Becoming a vassal state is no longer relevant to Rees-Mogg. In a roundabout way Rees-Mogg was right, because May’s deal does mean paying into something where we no longer have a say (a veto). However, and this is a vital key point, this all is self-inflicted. The EU haven’t forced vassalage upon us, they don’t even want to. Mad isn’t it? 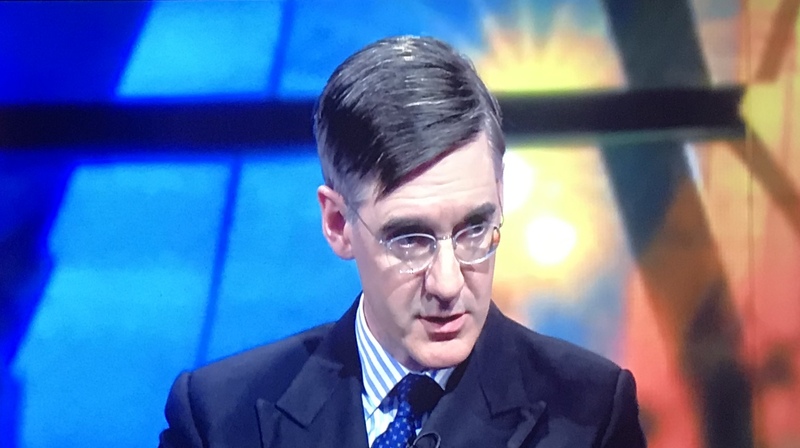 Rees-Mogg is a man who is deeply principled and religious. He is appalled by abortions and extra marital affairs. Despite this, he will support a man who has a history of extra-marital affairs and at least one abortion. Rees-Mogg, like a lot of people who hide evil behind religious righteousness, is only principled when it suits him. As a bit of a Friday quiz, I will let you guess who Rees-Mogg will support as a new leader. As a clue, the man Rees-Mogg will support is a serial cheat who has lied to his wives and lovers, his employers, his cabinet colleagues and his own friends. He is widely regarded as the worst foreign secretary in history, with his legacy being a British woman still sat in a Tehran jail. As major of London, he allowed the tax pay to spend arounf £60 million on a ‘garden bridge’ over The River Thames. It would have been very nice but it never got built. That’s £60 million for thin air. Go on, have a guess who it is? No Replies to "Rees-Mogg and a Vassal State"